Glasgow-based drinks giant Edrington — owner of Scotch whisky brands The Macallan and Highland Park — said on Wednesday it sold the Cutty Sark Scotch Whisky brand to French company La Martiniquaise-Bardinet. 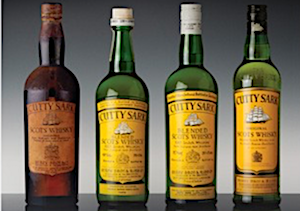 Edrington CEO Ian Curle said: “Cutty Sark is a great Scotch Whisky and has been a worldwide whisky icon for the last 90 years. “We are pleased to be transferring the brand to La Martiniquaise-Bardinet and know that it will thrive under their ownership. Jean-Pierre Cayard, President of La Martiniquaise-Bardinet commented: “We are proud to take ownership of this powerful brand. “Cutty Sark perfectly complements our portfolio of international brands including Label 5, Sir Edward’s & Glen Moray Scotch Whisky, Poliakov Vodka, Porto Cruz and Negrita & Saint James Rum. “This acquisition is a major step forward to accelerate our international expansion. “It will further strengthen our position in Europe and boost our presence in key markets such as the US & Japan. Edrington were advised during the sale process by Nomura International and Dentons UK and Middle East LLP. La Martiniquaise-Bardinet were advised by Rabobank and Goodwin.